Helios TBLUS d.o.o. is the largest company in the Helios Group and produces over 60% of all coatings and resins. 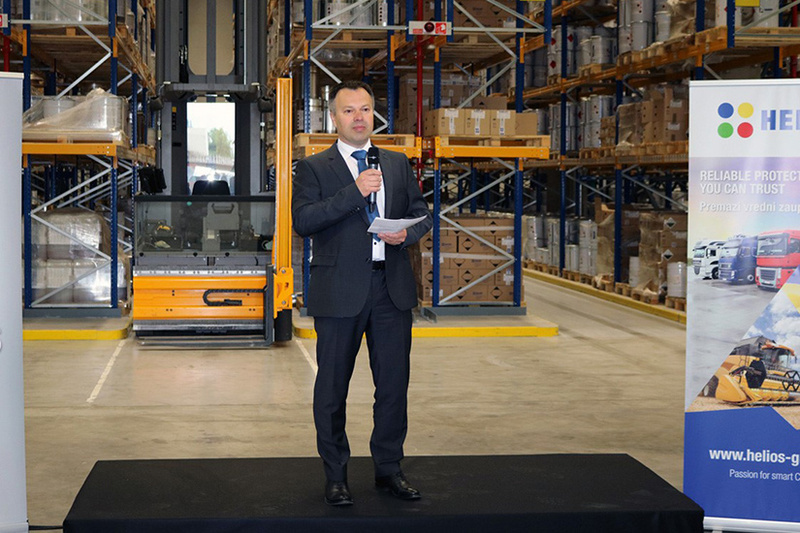 In one of the two factories of Helios TBLUS in Slovenia, a €4 million investment into the modern high-rack warehouse for final products was opened on May 11. 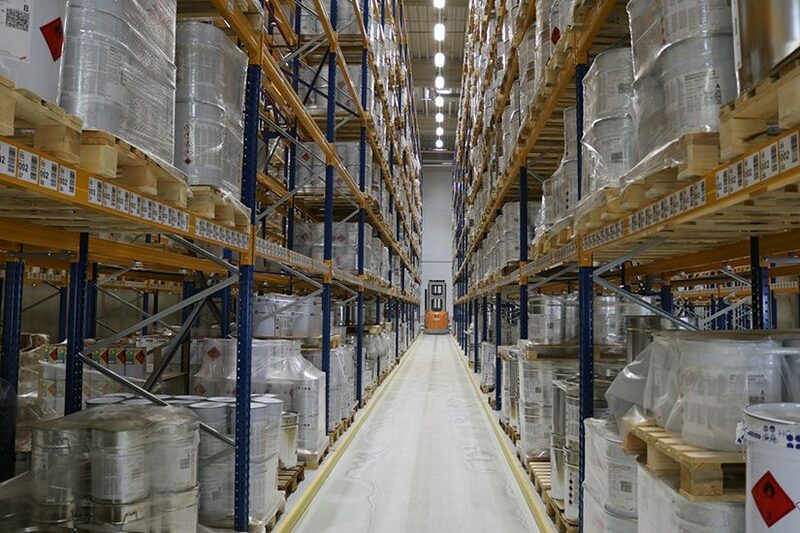 The warehouse measures 2,100 m² and holds 5,400 pallet spaces. It is in line with the highest standards and safety requirements, and equipped with a barcode system. The second location of Helios’ largest factory Helios TBLUS, which can boast of this new asset is located in Preska near Medvode, Slovenia, where three programmes of coatings are produced: pigmented coatings, which are mainly used in the metal industry, powder coatings and resins. At this location, in the last two years, the production of coatings for the metal industry increased by 20%, while this year, the production of powder coatings also increased by 20%. 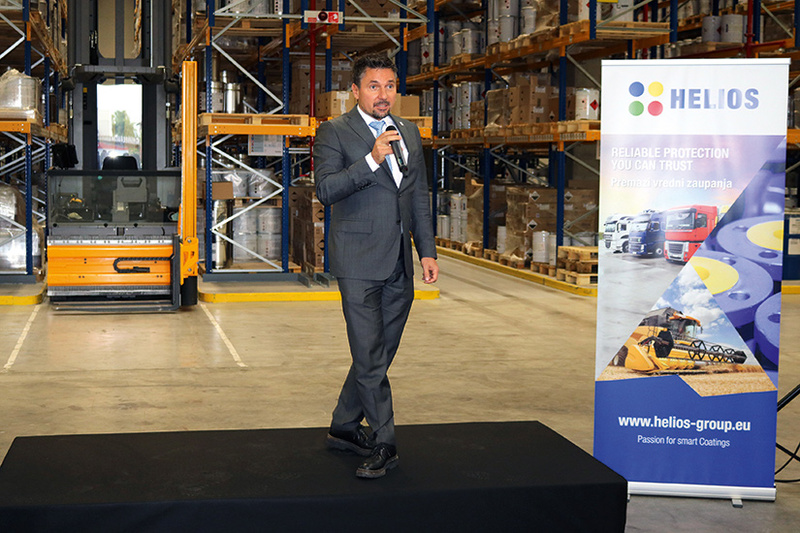 The opening of the warehouse gathered the representatives of local community, as well as management and employees of Helios Group and representatives of Kansai Paint, the new owner of Helios Group since March this year. Roman Pirnat, Managing Director of Helios TBLUS d.o.o. 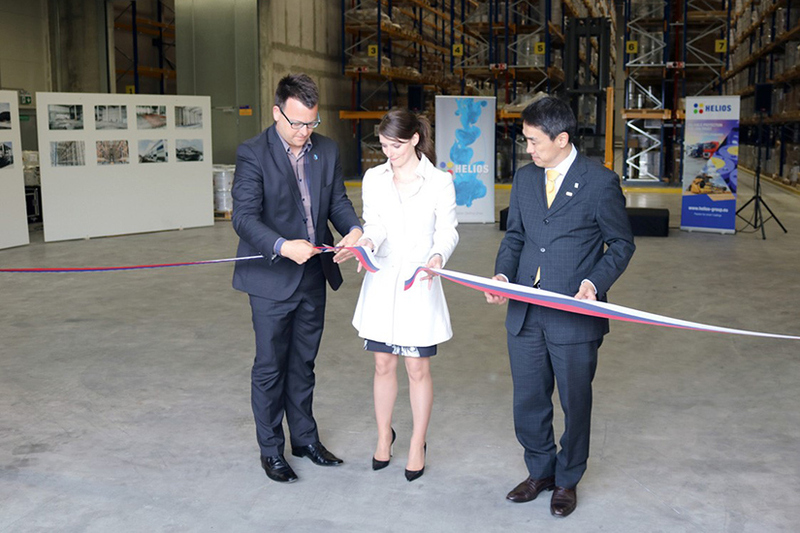 Ribbon-cutting ceremony: Nejc Smole, the Mayor of Medvode on the left, and Tatsuya Yada, Kansai Paint representative at the right. 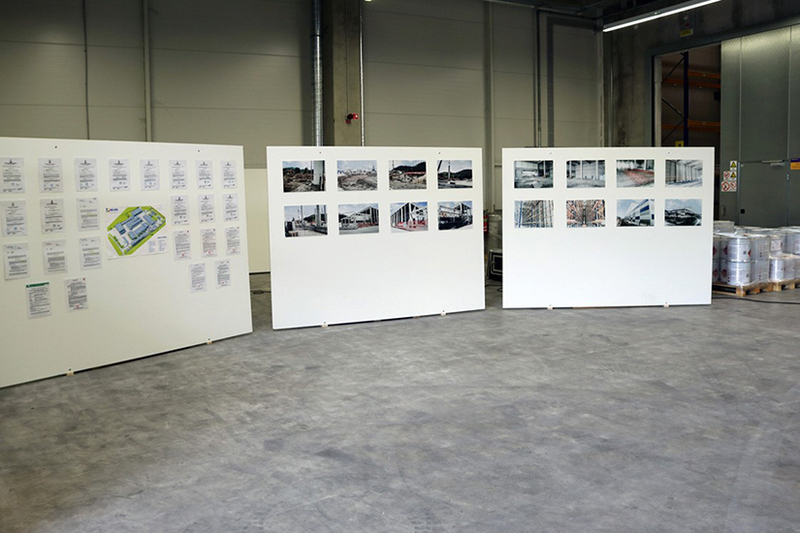 Demonstration of different construction phases and numerous permits obtained for the investments in Preska.